With a waterproof yet breathable design, the Showers Pass Rain Hood keeps you comfortable and dry. 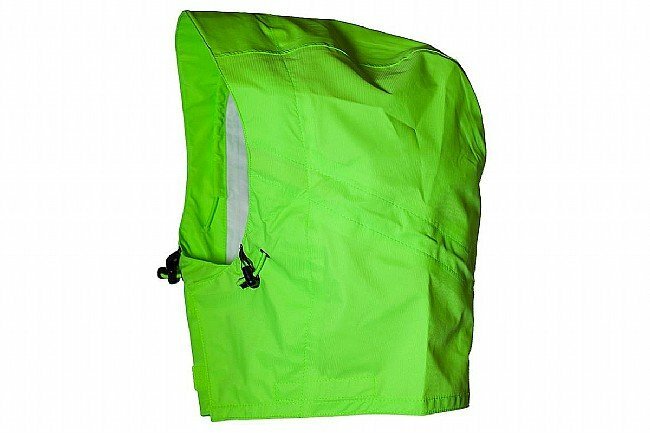 Compatible with most Showers Pass jackets and many other designs using similar Velcro® attachment, this hood features a commuter-friendly shape that easily fits beneath a helmet and doesn't interfere with peripheral vision. 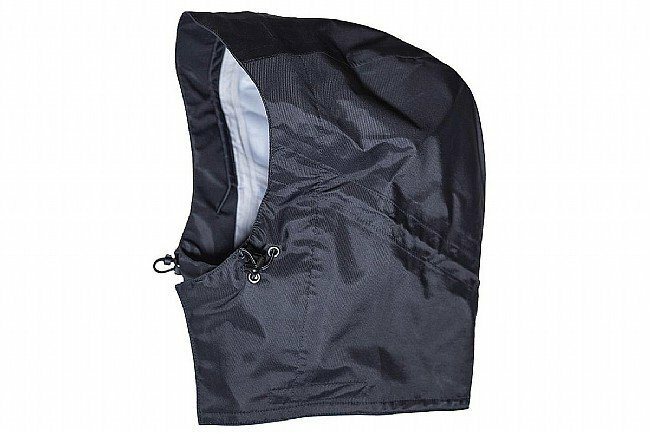 Constructed from a waterproof breathable 3-layer fabric, the hood is also fully seam-taped with collar overlap for maximum protection. Waterproof Breathable 3-Layer Fabric with fully taped seams for maximum weather protection. Brim keeps the rain out of your eyes. cinch cord in the front and back of the hood. Front Velcro closure is designed. Choose size SM/MD for jackets size Women's XS - Men's Medium. Choose size LG/XL for jackets size Women's Large - Men's XXL. This hood is well made and attaches perfectly to my Showers Pass jacket. It also fits perfectly and keeps me dry. The small visor helps to keep the rain out of your eyes. I like this versatile piece, because I can detach it when I don't need it. It is a bit pricy for just a hood, but for my purposes well worth it. I'm a rower and don't always want or need the full rain protection, but at times it's great to have this hood to keep you warm. When I toured across America in the winter of 2016 I relied heavily on my Showers Pass Rain Jacket, Hood and Pants. I modified the one size fits all hood to accommodate my head which was covered most of the time with a polar tech balaclava an helmet. Recently I noticed a a largexlarge Rain Hood was available. Anyway this larger hood easily covers my head,balaclava and helmet no problem no modifying needed. One more thing. Regardless of the weather being rain or cold or both I mostly lived in that Rain jacket throughout the entire trip. Thank you Showers Pass. Poor design, neck closer to small for any one, bub,5'6 141lbs stopped using his. I'm 6'5 210lbs it's not usable, hood hem line comes down over eyes ! Great staffty first ... Sp. One size chicks all.